One Direction is still taking the world by storm, wowing girls Down Under with a sold out concert tour and laying the groundwork to promote their next big project, another CD due to drop next month. 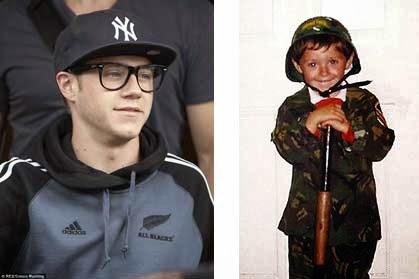 The Irish band member – and definitely the most talented – Niall Horan looks like a real cutie in his combat gear taken at the family home in Co. Westmeath. His newer self, all of 20 years young, is looking pretty smart too, clad in Ray-Ban specs while heading to the next show on the 1D express in Auckland, New Zealand. Their tour finishes up in Japan next month, with no other shows booked until three sold-out ones in Dublin’s Croke Park next May, but that’s bound to change.